The right to assemble is ingrained in the United States Constitution. Protests and marches are vehicles that allow people to express their disapproval in the state of social issues the law, public policy, economic disparities, war and so much else. Recently, the Women’s Marches were held cities across the world to affirm their vexation towards the President Trump’s egregious sexism, the unwillingness of governments to address critical women’s issues, and the continued mistreatment of women in society. The right to assemble and protest has always been an essential part of American culture. The Women’s March was largely born out of the election of Donald Trump who is deplored by many for his long history of misogyny. The Women’s March website also cites other progressive issues such as workers rights, civil rights, and environmental issues. Marches for political causes often have more traction during opposing administration, as there is greater energy to assert opposing viewpoints. “I find that marches raise awareness for dissenting points of view. 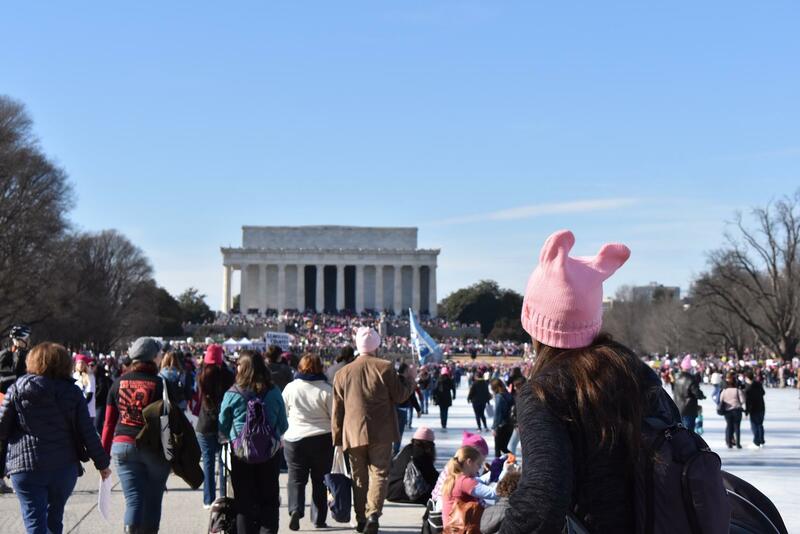 At the Women’s March this year, I felt justified by the politicians there. Having the government acknowledge my opinions validated my reason to be there,” Emily Garcia (’18) said. Historically, marches have played a crucial role in major developments in U.S history, such as the suffrage movement and the anti-Vietnam war. At a time when the U.S government made a horrendous decision to pursue a futile war, people across the nation did the only thing they could do: protest and march in the streets. The involvement of college students in the anti-war movement of the 1960s and early 1970s highlights the importance of using marches to change public opinion. The contempt of young Americans for the war seen in the marches brought attention to the inequalities of the draft as well as the immorality of the war. Equally, the Civil Rights Movement and Martin Luther King’s March on Washington paved the way for the Civil Rights Act of 1964 to be signed into law, igniting the fight for equality for all people, regardless of race. While this progress was slow, and in many ways still continuing today, the impact of King’s March on Washington is undeniable. Large scale marches with diverse involvement are often the most impactful. People and governments take notice when a large movement like the Women’s March takes place. Besides the vote, town halls, lobbying and public advocacy marches are the only avenue that citizens can take to express their discontent with the state of society. In countries like Russia and China, the right to assemble and protest is greatly suppressed by the government. People with opposing viewpoints from regimes in these countries have no way to express their disagreements as even political dissenters and opposition leaders are constrained by the government. While many across the globe live in darkness, the right to assemble in the support of an ideal should be honored.